Supergirl is one of our first shows to return from its winter break and it gets off to a strong start. The mid-season finale left us at a cliffhanger. 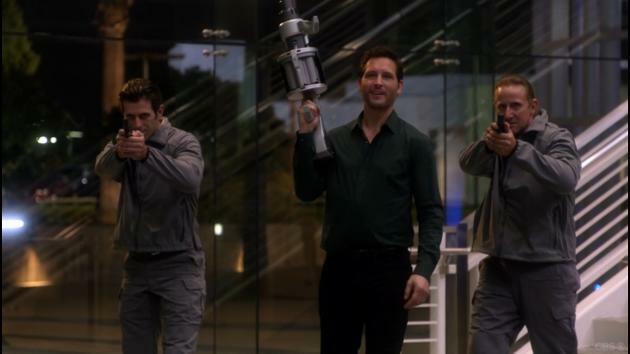 Maxwell Lord was defending his building from Kryptonian attackers. Lord has been the “Lex Luthor” for the Supergirl series. I’ve been a fan of Peter Facinelli for a number of projects he’s been in the last several years, most notably Nurse Jackie. He pulls off an excellent nice guy with an agenda point of view. 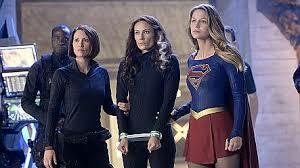 The whole point of the attack is to get Kara into the open and get her to release her aunt. If you didn’t know, her aunt is the twin sister of her mother on Krypton. It’s cheaper for the CW so they don’t have to hire two actresses. Supergirl puts up a decent battle. While many complain that the effects are not up to par, they are spending more than enough make it good enough and the battles exciting. Hank Henshaw ends up being captured and collateral for the Kryptonians. During the episode, another subplot continues to progress. Cat Grant believes Kara to be Supergirl. Throughout the show Kara denies it the entire time but Cat never backs down. The resolve is one I could have seen, coming but didn’t really think of it. It’s been used in the comics more times than I can count but very satisfying. It also strengthens the fact that Kara needs her secret identity to continue with her humanity. In the end, a trade occurs. It’s a battle between the Army politics and Kara’s blood bond that makes the trade so necessary to keep the peace between Kara and General Lane. What baffles me is the fact that there are about 10 to 15 flying Kryptonians on hand during the actual trade. They should be able to overpower and destroy Supergirl. Kara even instant messages with Supes at the end of the episode asking her if she needed help. Of course she does! There is no way she’ll able to take on that many Kryptonians. Yet of course were probably not going to see Clark pop up any time soon. That being said, I think Maxwell Lord might have solution that might solve her problems.